Welcome to Unveil the Practice! I am your host Viktoriya Neverov-Krstic. I’m a doctor of Acupuncture and Chinese Medicine as well as a poet and fiction writer. On this podcast, I’ll be sharing my knowledge on holistic health, pain management, food-grade herbs and beneficial routines that are easy to implement to live a better, fuller, healthier life. I’ll also be interviewing many health experts in various fields to bring you the best, cutting edge knowledge on how to improve your health. For ... Más informaciones the creative portion I will be sharing my thoughts on the writing process and poetry as well as interviewing folks in various creative industries. I’ll chat with other writers, musicians, artists, designers, photographers and many other professionals to encourage and inspire those of you on your own journey of creative pursuits. 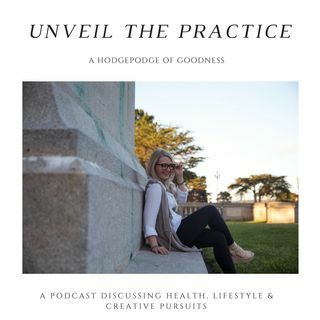 All in all, Unveil the Practice Podcast will be a space where you can gain valuable knowledge on how to improve your health habits and feed your soul with inspiration offered by dedicated artists of various sort.